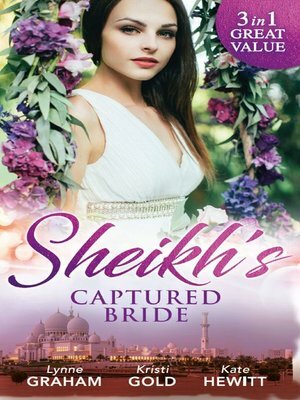 Possessed by the Sheikh The Sheikh's Prize Defying his kingdom, Sheikh Zahir married Sapphire Marshall, causing outrage amongst his people. But when Sapphire fled with part of his fortune, he realised he'd made a terrible mistake. Now Zahir plans to reclaim his bride, starting with his wedding night! The Sheikh's Son When Prince Adan Mehdi's ex brings him his baby, he realises he needs a suitable wife – fast! Beautiful, virtuous heiress Piper McAdams agrees to be his pretend bride and show him how to be a parent. But playing royal house together, things soon become steamier than Piper ever imagined... Captured by the Sheikh Sheikh Kahil is determined to reclaim his crown from his rival – starting by kidnapping his enemy's fiancé, Queen Elena! It's strictly business, not pleasure...so why then is Kahil incensed at the thought of Elena in anyone's bed but his own?